Victoria, B.C. 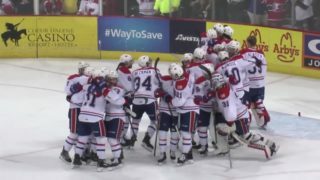 – The Spokane Chiefs scored four goals in the third period to secure a 5-2 victory over the Victoria on Royals Wednesday night in Victoria, B.C., avenging a Tuesday night loss and splitting the season series, 2-2. 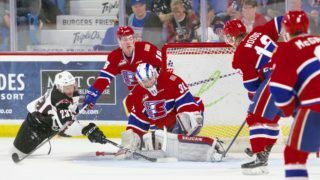 Spokane remains six points back of second place Portland in the U.S. Division with six games remaining in the regular season. 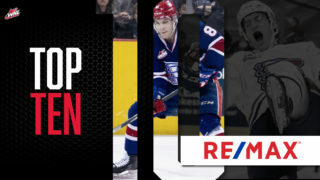 Spokane would re-take the lead on Kailer Yamamoto’s power play tally from Jake McGrew and Ty Smith at 7:58 to go up 2-1. 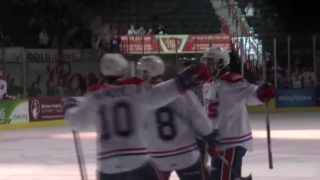 Eli Zummack scored his 13th of the year from Toporowski and Elynuik at 10:05 to put the Chiefs seemingly in control at 3-1, but the Royals did not quit. 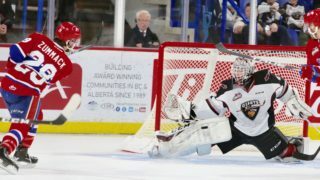 Victoria came right back as Soy scored his second of the night shorthanded tally with just under four minutes remaining to cut the Chiefs’ lead to 3-2. Zummack responded with his second with the net empty at 18:51 to give Spokane a 4-2 edge and a sigh of relief. Elynuik capped the scoring and a three point night with another empty netter – his fifth goal in three games – from Zummack and Smith at 19:24 to cap the 5-2 victory. Zummack finished with two goals and an assist while Elynuik went for a goal and two assists to lead the way offensively. The Chiefs outshot the Royals 31-29 in the game, going 1-for-4 on the power play and 3-for-4 on the penalty kill. Dawson Weatherill picked up 27 saves while earning his 26th win of the season. 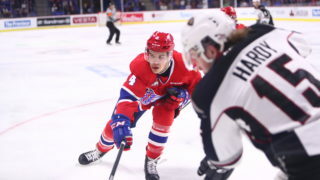 Spokane is now 4-1 so far on their current six-game road trip and will finish the road swing at Seattle on Friday night at 7:35 p.m.
Mike Boyle will have the radio call on Friday night on 1510 KGA NW Sports Talk starting with the pre-game show at 7 p.m.